HIROSE has introduced the ER8 series of connectors that supports high-speed transmission of more than 10+Gbps for industrial applications. 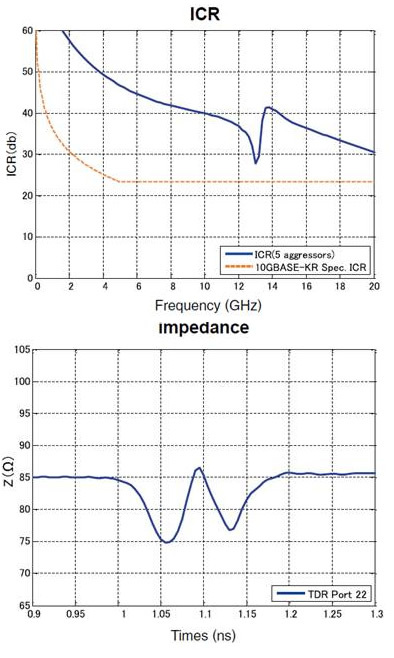 The ER8 series contacts have been optimized for signal integrity performance to ensure reliable high-speed transmission performance. The connectors also feature an excellent insertion loss-to-crosstalk ratio with a 5-aggressor differential far end crosstalk (FEXT) that meets the IEEE802.3ap specification for 10+Gbps and more. The self-aligning connectors have mating/unmating forces up to six times greater than typical micro pitch connectors. In addition, the ER8 series has an increased contact wipe and insertion depth, making them ideal for applications that require high-mating cycles and resistance to shock and vibration. Utilising a compact pitch of 0.8mm the ER8 series is ideal for applications where PCB space is at a premium, the SMD connectors are constructed from high temperature LCP material which is flame retardant to UL94V-0 and fully compatible with Lead-free reflow soldering processes. The ER8 series is available in vertical (mezzanine type) and right angle versions. The vertical connectors are offered with the number of contacts ranging from 10 to 120, while the right angle version is currently offered with 120 contacts. Featuring low profile stacking heights from 7mm to 12mm, the ER8 meets the size requirements of a wide range of applications. The ER8 series is a licensed second source for the Samtec Edge Rate® Series. Edge Rate is a trademark of Samtec, Inc. The ER8 series is suited to a wide range of applications including Motor control, Navigation devices, Medical equipment, Broadcasting equipment, Scientific instruments, POS terminals and Industrial machinery. 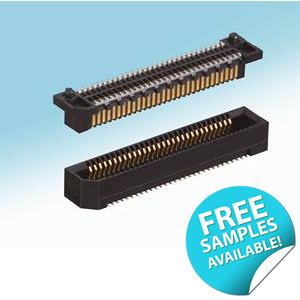 Anglia are offering customers FREE samples of the ER8 series of High-Speed, Board-to-Board Connectors from HIROSE, please fill in the form below to register for your FREE samples now.